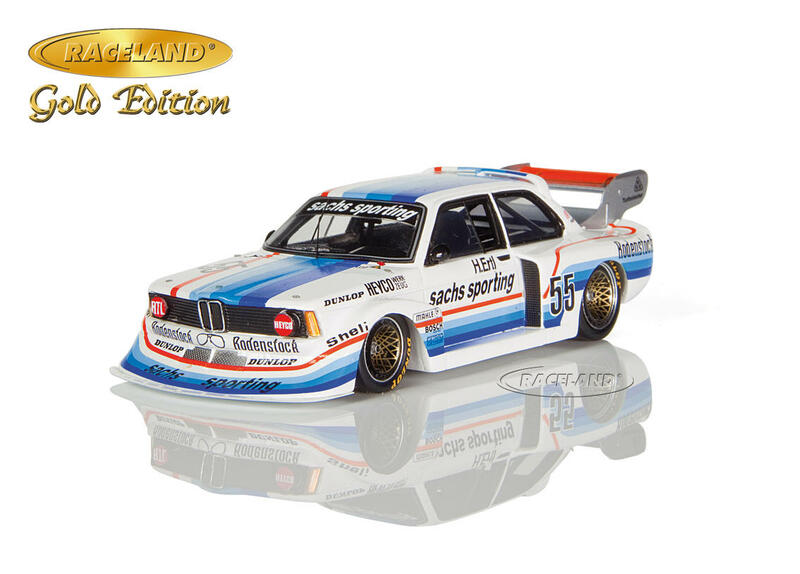 The product "BMW 320 Turbo Sachs Sporting winner Norisring Div. 2 1978 DRM-Champion Harald Ertl" was successfully added to your wishlist. 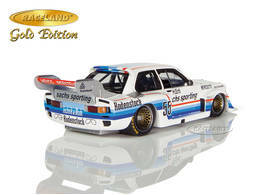 Raceland Gold Edition made by Spark 1/43rd scale. 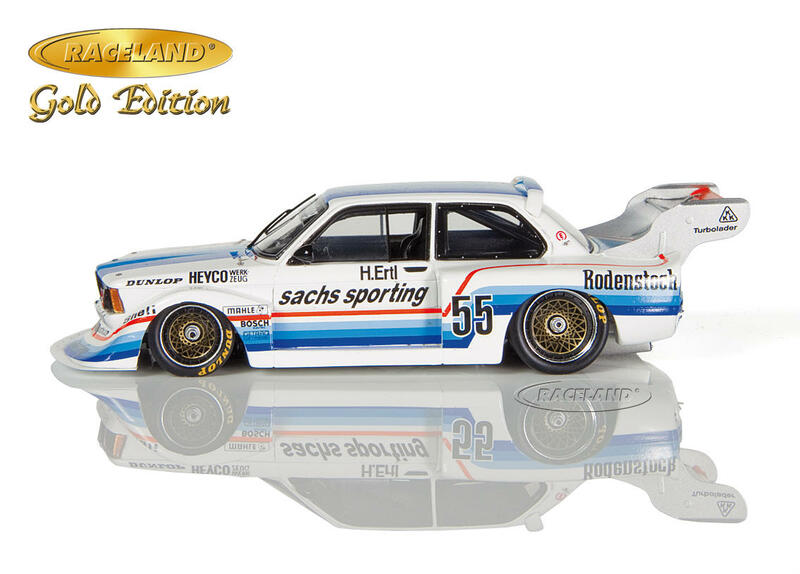 Special limited edition of 400 pieces, individually numbered, special Raceland packaging. High quality resincast model car with photo etched parts 1/43rd scale. Model size approximately 10 cm. 1978 was the second year German touring car series Deutsche Rennsport Meisterschaft raced after Group 5 regulations. It soon became apparent that a turbo charged engine was needed in small Division 2 as well to be a front runner. After a disappointing 1977 Formula 1 season with Hesketh Harald Ertl just did a few F1 races for Ensign in 1978 to fully concentrate on touring car racing. From the very beginning Schnitzer's new 1.4 liter BMW turbo engine proved fast and reliable which enabled Austrian-born Ertl to collect victories and top 5 results in a row. 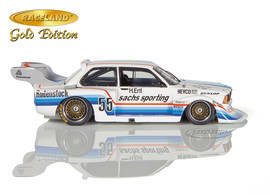 Schnitzer had pushed the small engine to around 400 hp at 9,400 rpm that made Zakspeed's Ford Escorts look old with their 2-liter aspirated engines. Ford's own turbo engine came too late in 1978. In-house BMW turbo competition was still struggling with teething problems so Harald Ertl's 5th season victory at the Norisring brought him an overall lead after Toine Hezemans and the Gelo Porsche 935 had suffered two DNF results in division 1. Second on the podium at the Nürburgring final made Ertl DRM champion of 1978.